Web performance engineering techniques are classically based on the augmented description of the model regarding performance annotations. However, these annotations are only related with the syntactical view of the system. The next generation of performance assessment tools for intelligent systems would be capable of acquiring knowledge and even reasoning about performance as the systems will work. The use of ontologies with performance-related information may be used to build on-line performance brokers that assess the performance of the system during its execution. 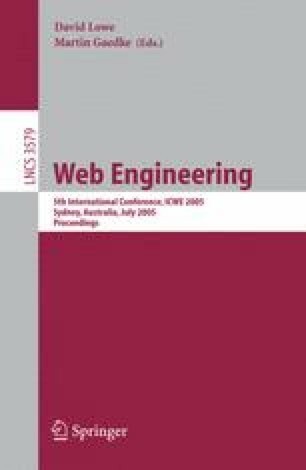 We present the web operational analysis as an example of its future utilization by a framework for building intelligent applications based on semantic web.